March is Blood Clot Awareness Month. Find out what it is, why it matters, and how you can help make a difference. It will soon be seven years since I had a blood clot in my left leg (deep vein thrombosis or DVT) that traveled to my lung (pulmonary embolism or PE), causing damage to my heart and creating a life-threatening situation. I did not know that I was at risk, both because I had an underlying autoimmune clotting disease called antiphospholipid syndrome, and because I was taking birth control pills with estrogen. I was only 29 years old then, and for me, life had just begun. I was recently married, healthy, and contemplating a future of kids and home with my husband. I was running one day, when a horrible pain started in my left calf. It felt like a pulled muscle and progressed to feeling like my knee was in a vice. Less than two days later, I had pain in my left side, near the bottom of my ribcage that eventually felt like someone was stabbing me and all the air was deflated from my lung. Being unable to breath or speak in full sentences is why I went to the hospital, at the urging of my primary care physician, who I called on a weekend for help. I spent ten days in the hospital, where my life hung in the balance for several days. After doctors stabilized my situation, I was sent home – with a wheelchair and an oxygen tank – where I would soon discover that I was only at the very beginning of what would be a long and grueling journey. It took me two years to recover from the blood clots that ravaged my body, and a little bit more time to deal with the emotional trauma of facing the end of my life so young, and so unexpectedly. I will forever have to manage my disease and my clotting risk with medications and follow-up appointments. While I am not exactly sure why my blood clots happened when they did, to the severity that they did, I do know that my experience changed the course of my life. It was only three months after my hospital discharge that I decided to start Blood Clot Recovery Network and share my story with the world. 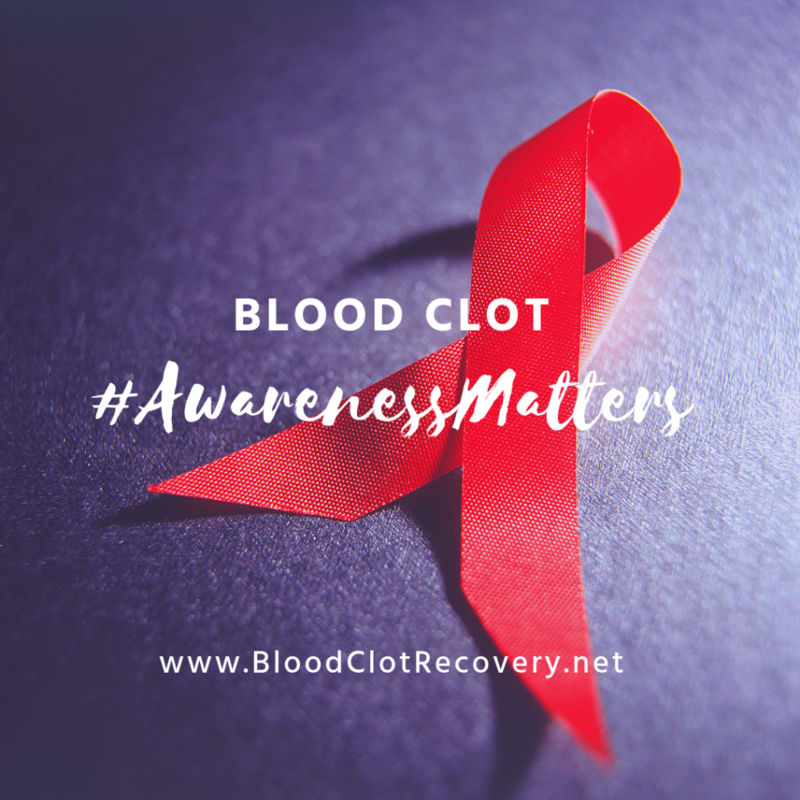 Blood clots kill more people each year than AIDS, breast cancer, and motor vehicle accidents combined, yet so many people don’t think blood clots can happen to them, or surprisingly, they don’t know they are dangerous. Blood clots can happen to anyone, at any time. I was 29 years old and an active runner when my blood clots happened to me. I never expected it, and because of that, I almost died. If you think blood clots can’t happen to you or someone you care about – they can. Take time this month to learn – and share – more about blood clots. Nearly all of us have access to someone else. Whether it be your friends, your family, your colleagues, your social media channels, or your community – share, share, share. It seems simple, but it truly matters. Sometimes I think about how different my situation would have been had I known two things: That I was at risk for blood clots and what the signs and symptoms of DVT were. If I had known, perhaps I could have addressed my risk with my doctors earlier, or when I had symptoms of a blood clot in my leg (DVT), I could have got help before it turned into a life-threatening situation by traveling to my lung (PE). I didn’t know either, and I almost didn’t survive. While I can’t say for certain what might have happened then, I wish I would have known. 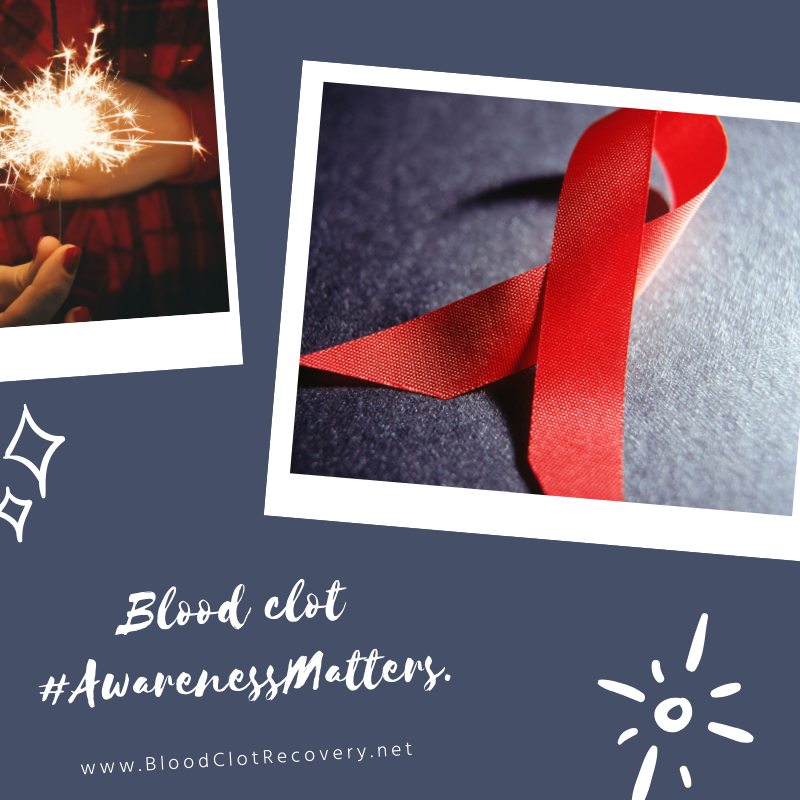 Information about blood clots is easier to find now than it was when I first started writing my blog here, but there is still information lacking about blood clot recovery. Although, recovery information is much more readily available than it once was, and there are great organizations and people working to share information, where once there was none. Talking about my experience has been one of the things that helped me to heal. Writing about my experience has helped me process what happened to me. I believe strongly in the power of sharing our experiences, and this March, I want to focus on how sharing our stories – whether publicly or in private – helps with healing and recovery. No one wants to feel alone in this world or feel alone when going through a difficult experience. If you’re struggling physically, you’re not alone. If you’re struggling emotionally, you’re not alone. 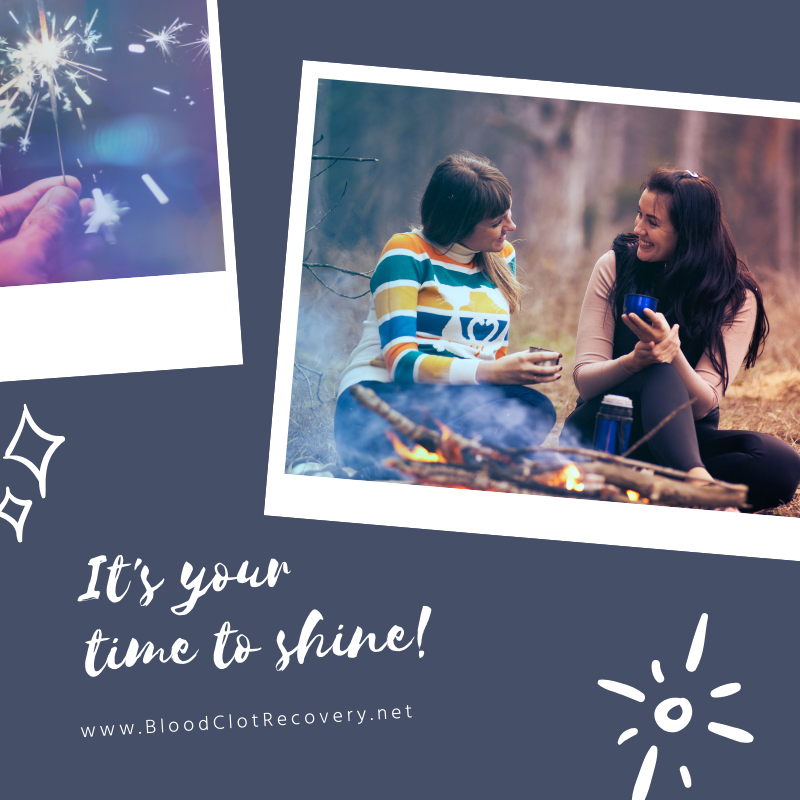 This month, I want to share insights – or snapshots – of my recovery from blood clots with you and give you the opportunity to share with me and with one another. I will be sharing new content on social media for the month of March, as well as many of my most popular posts. I will be talking about blood clot risks, signs and symptoms, and all about recovery, including anxiety, depression, lifestyle issues, treatment, and more. There will also be weekly opportunities for you to share your thoughts and experiences with your own recovery from blood clots. My two most popular platforms are Facebook and Instagram, so if you’re not connected with me there, I look forward to seeing you. You can connect with me on Twitter too. 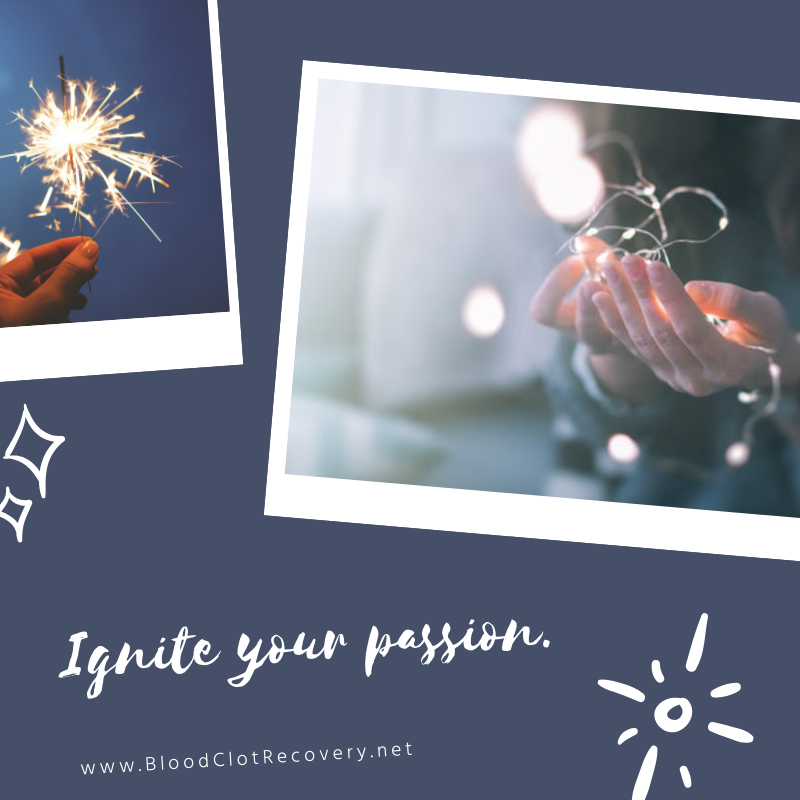 My private Facebook Group is growing each day, and it is a great place to chat with people in real time about blood clots and blood clot recovery. I am there every day, so I would love to chat with you too. 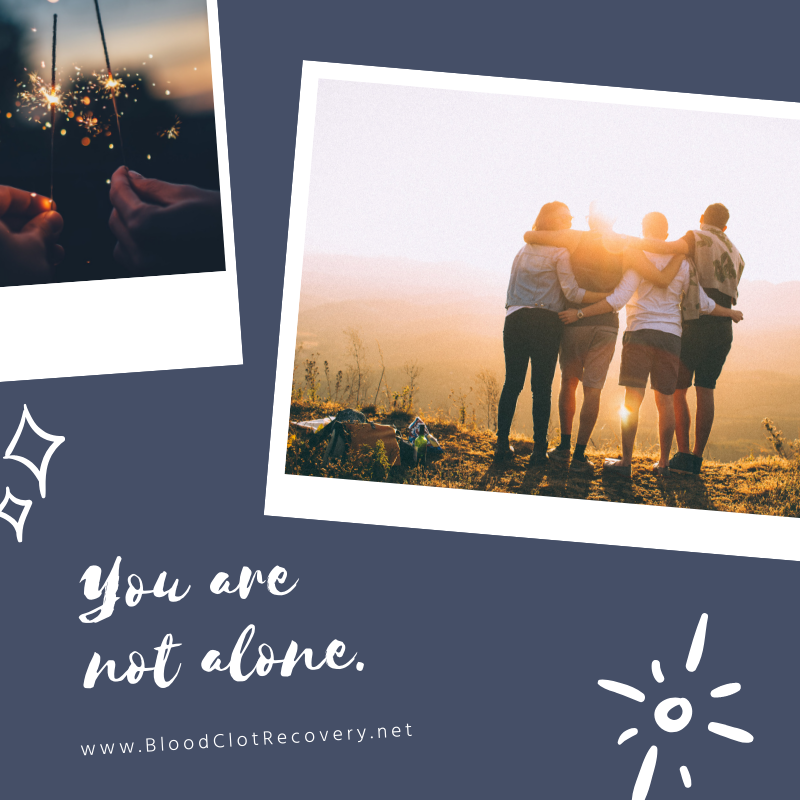 My message is this: If you are recovering from blood clots you are not alone, and while it is life-changing and even unbearable at times, it does get better. 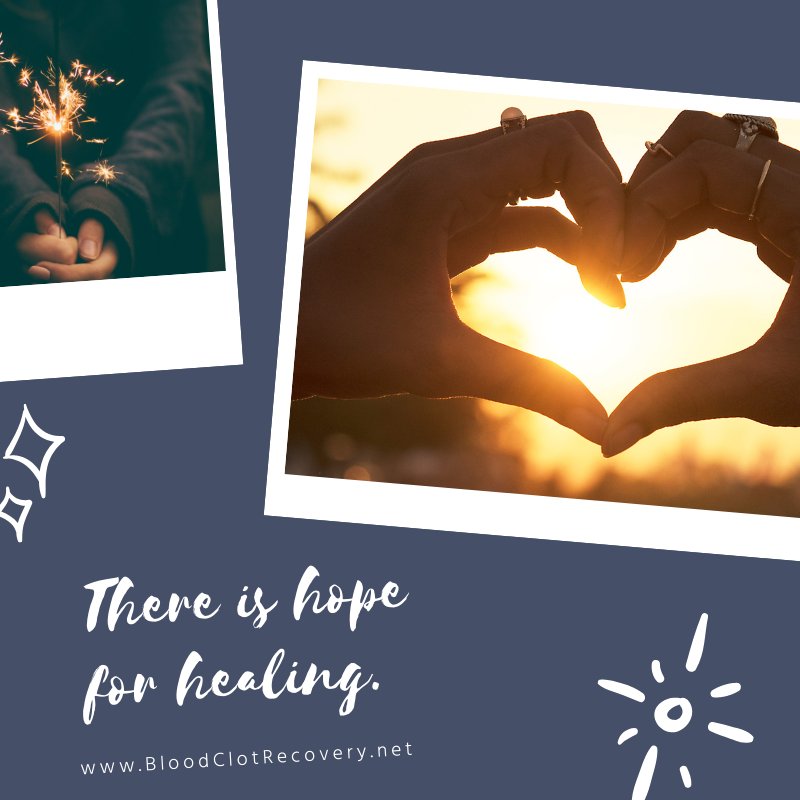 There is hope for healing from blood clots. I would be remiss if I didn’t stop to talk about what I am grateful for since my blood clots six years ago. While I don’t often refer to myself as a survivor, I did come out alive on the other side of something that kills 100,000 people a year. I am grateful for my life, and I am grateful for the chance to help make a difference. By sharing my story – and my recovery – I hope that I can honor the lives that were lost and hopefully save lives in the future by sharing important information. I am grateful for my family, who supports me day after day, even when my work takes priority over them. They are: my husband, Michael; my dad, Bill; my sister, Mollie; my in-laws; and my dogs, Grace and Sadie. Thank you for believing in me, and the work I do, every single day. I am grateful for my medical team, because without them I wouldn’t be here today. They are: my hematologist, my primary care physician, and the nurses and lab staff and my hematologist’s office. Thank you for caring about me, and for helping me live my best life with antiphospholipid syndrome. I am grateful for the BCRN community. You all make it possible for me to carry on my work here, day after day. You inspire me, and you keep me motivated to talk about my experiences, with the hope that my sharing will continue to help you. Thank you for reading, for commenting, for sharing, and for connecting. I hope you also connect with the National Blood Clot Alliance, if you have not already, where I work professionally in Marketing and Communications. We have several projects that we are unveiling this March that I am very excited about. To make my passion my profession has been one of the most rewarding experiences of my life. Additionally, my job has provided me the opportunity to reach even more people with life-saving information about blood clots. For information you can share too, please visit www.stoptheclot.org. Shop for Blood Clot Awareness Bracelets through my Amazon Shop: Shop BCRN. Reader Writes In: What plans do you have for Blood Clot Awareness Month? Share in your journal or in the comments below – I would love to hear about them!